THEOPHILUS HUGH – NORRIS BEECHER, who promoted two trade exhibitions at the Kingston Race Course, died yesterday in the Kingston Public Hospital. 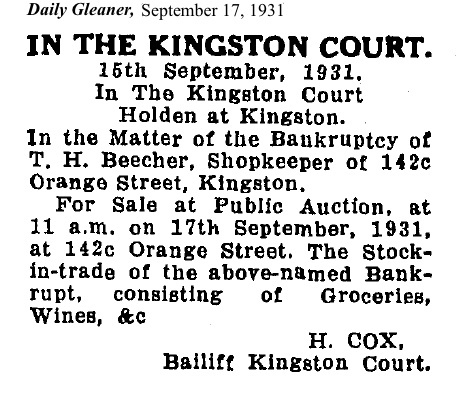 Born in St. Ann 56 years ago, Mr. Beecher came to Kingston as a youth and was for some years employed by the late Mr. James Dunn, grocery and provision merchant. He later started business on his own account in Orange Street. Giving up business, Mr. Beecher engaged in other ventures, and took an interest in politics. 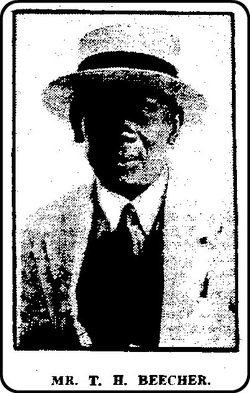 He supported many candidates for political honours - one of his last efforts being in support of Councillor Mary Morris Knibb, when she ran for the House of Representatives. Mr. Beecher had a colourful career in the life of the Corporate Area. He was a familiar figure in commercial and political circles, and the first exhibition at the Kingston Race Course which he promoted won him praise not only in Jamaica, but in the United Kingdom. As a publisher, he brought out a number of trade magazines and souvenir journals.